Lightweight, easy to carry and quick to set up. 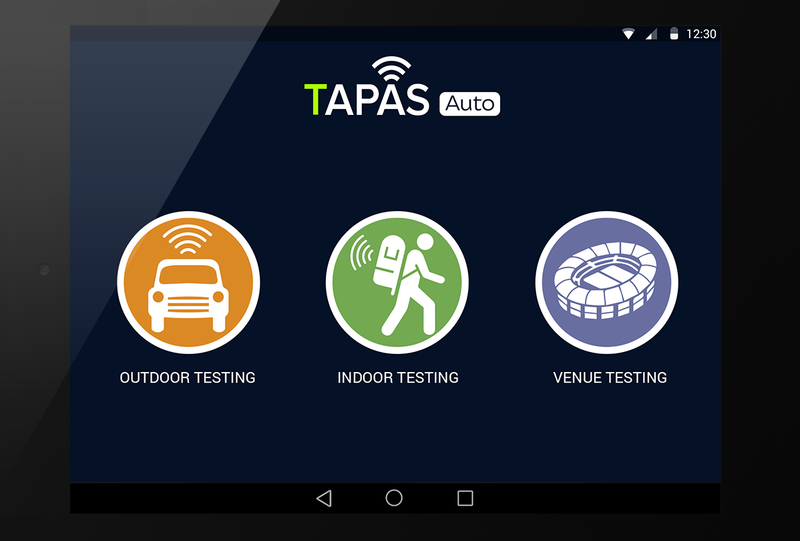 Tapas Auto is supported on many leading-edge Android smartphones and tablets. It’s graphical user interface is simple to navigate. Users can have various templates and define their own workspace by creating profiles. 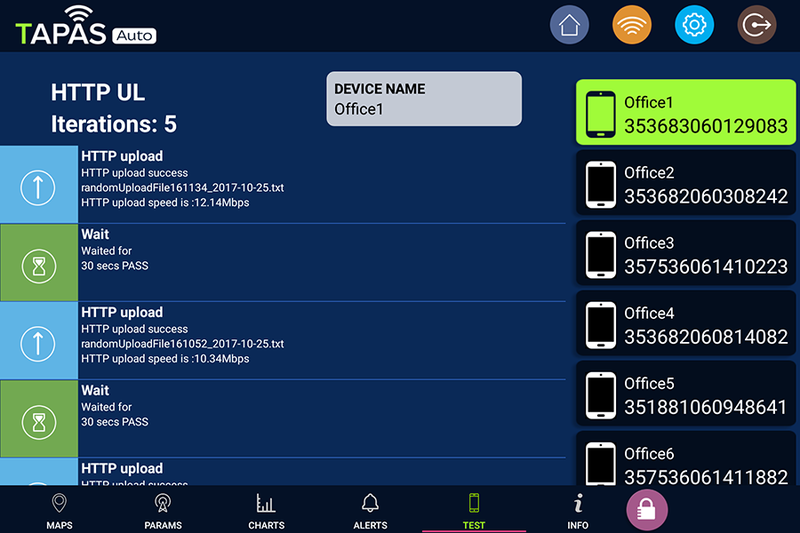 Tapas Auto Dashboard provides live remote monitoring of all kits and devices. The scripts and tests can be remotely configured with our drag and drop dashboard feature. 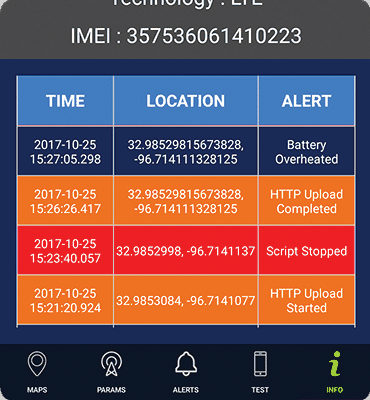 Device alerts help the user to resolve any problems with the phone or network on the go. 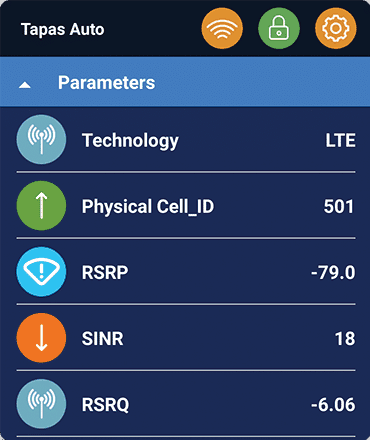 Tapas Auto supports LTE , WCDMA , CDMA , GSM technologies with wide range of parameters. Central command and monitoring center for all UE’s. Gives flexibility to operate just one device and be mobile while testing. 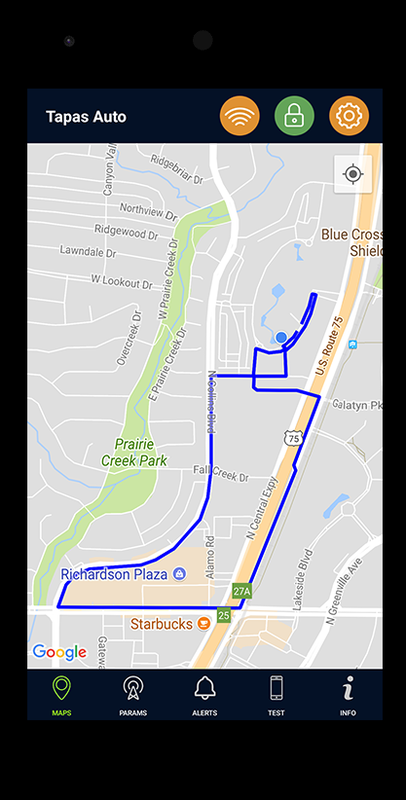 Track your drive with pre populated drive route. TAPAS Master can monitor all the connected phones. 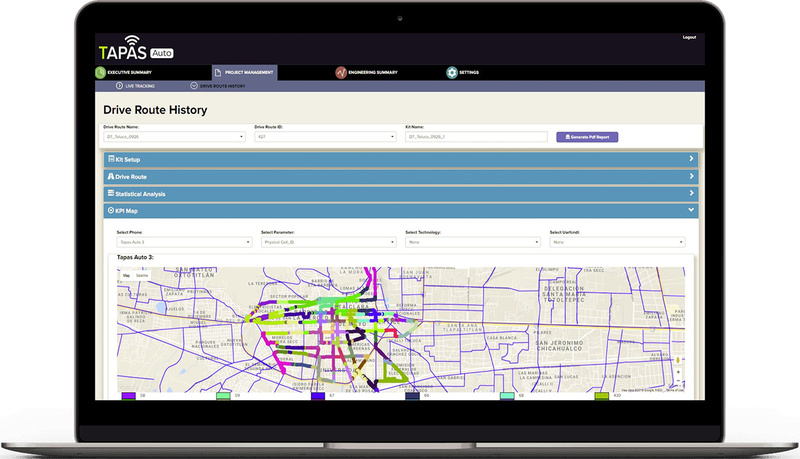 TAPAS Auto Dashboard provides Real time statistical and KPI analysis on charts and maps. Tapas Auto is a multi-purpose, compact and portable solution designed for cluster drives, benchmarking and indoor/ outdoor walk tests. It comes with a backpack equipped with up to 6 smart Android phones, a master Android tablet governing the entire unit. The unit is equipped with 3 strong swappable power banks to ensure the unit can run seamlessly for up to 10 hours. The Tapas Auto bag packs are provided with a ventilation system with 2 fans. Flexible. 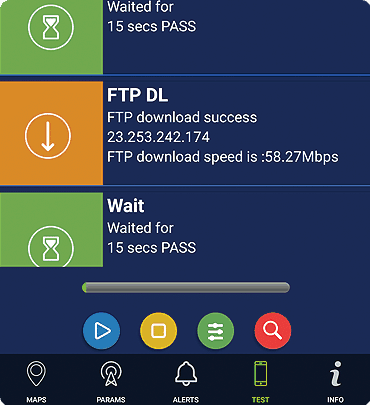 Tapas Auto is supported on many leading-edge Android smartphones and ablets, including and not limited to Samsung Galaxy S5, etc. User Friendly. Tapas Auto is lightweight, easy to carry and quick to set up. It’s graphical user interface is simple to navigate and uses the latest features. Wide-ranging technology support and tests. By using smartphones, Tapas Auto supports the todays most widely used mobile radio technologies. Pre-configured profiles and user management. Users can have various templates and define their own workspace by creating profiles. With the user management. Easy Integration in existing processes. Tapas Auto offers comprehensive tools for tailoring the application best suited for their needs For indoor measurements. Live Monitoring & Automated Report. 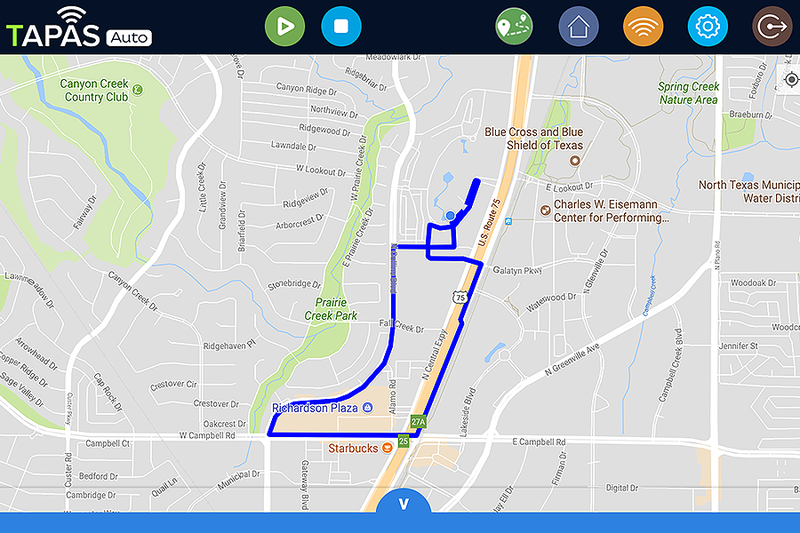 Tapas Auto Dashboard provides live remote monitoring of all kits and devices and activities on the field with real time data.